One can never get tired of watching this magical lake. Sometimes, the real world can match the magical unreality of dreams. Pangong Tso, Ladakh, September 2012. Years later, these are the memories that will return with a vividness that will make me catch my breath. 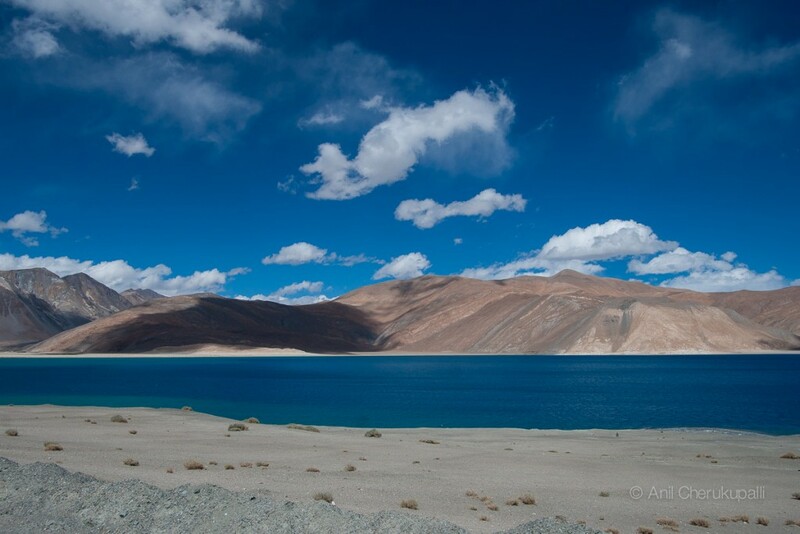 The everchanging colors of the Pangong Lake are like multi-hued dreams that vie for attention on lonely nights. I’m lost, insignificant and therefore consumed by a constant need to find scales of reference that my befuddled brain can process. On the road from Nubra Valley, Ladakh, September 2012. Sand, stone and green all came together to create a delicate visual symphony that fell on my eyes like unexpected rain. Every turn of the road yields a new unreality where the scale of the landscape dwarfs human imagination. On the road to Nubra Valley, Ladakh, September 2012. Ladakh is like a song set to the music of the stars.